A while back, I wrote about how I was using the Twitter APIs to display the location info for my tweets. Well, I’ve had a lot of emails about that article and requests to share some code, so now here I am, writing my first code-oriented article… Hm. First, we put this line at the top of the PHP file so that the server knows to process the file using PHP. it’s necessary since we’ll be using a CRON job to run this script. Next, we create a class, and initialize some variables. In terms of the number of statuses, keep in mind that, according to the Twitter API, the number of statuses actually returned using this method could be less than the number requested because it won’t include any retweets. Since I don’t retweet all that often, (but sometimes I do a couple in a row), I’ve set this to 6 since I am only really wanting about 3 tweets to display at a time. Depending on your retweeting habits, or how many tweets you want to display, you can adjust this number accordingly. The higher you set it, the more flexibility you have to use more tweets, but the larger the JSON file will be, which could translate into slower loading times if you’re pulling too many. // we need to send some user info too! I’m using json_decode() to convert the json object to a PHP object, and then creating a new object with only the fields that I want. Have a look at the Twitter API to see if there any additional fields you want, (there are tons) but for my purposes, I didn’t need/want too much. it’s important to note that I’m only including location information for tweets that have a community name ("place") returned. It makes the JSON file smaller that way (than if I were to just assign NULL values to these properties), but it means you have to test if that property exists on the other end… Also, I’m linking the actual geolocation of the tweet to Google Maps, but you can use whatever you want. it’s important to note that the "coordinates" array returned from Twitter needs to be reversed in order to send the latitude and longitude to Google in the order they expect. Lastly, I append the Twitter link for the specified user and return the whole thing as a JSON object using json_encode(). // Let’s make sure the file exists and is writable first. // Write $content to our opened file. You’ll note that this is the first (and only) public function (method) in this class, so this is the one that calls everything else. In case it isn’t obvious, it’s getting our reformatted JSON data and saving it to the file we specified in the __construct(). Our next function, linkify_text();, takes the Tweet’s text (or any other text you feed it) and makes it XHTML safe, makes embedded URLs into hyperlinks, converts embedded usernames (@DanielMenjivar) into Twitter profile links, and converts hashtags (#toronto) into Twitter Search links. The last part of this class is a function that calculates how long ago a tweet was submitted, and returns it to us in relative terms, similar to how Twitter displays it. You could also use this function elsewhere, and if you change the $dateto value, then you can calculate the delay from a different point in time, instead of "now"… I’m also adding one second to "now" in order to not get any errors. that’s it for the class, but obviously, you have to instantiate it first and then run save_json_file(); to actually do anything. Since I’m running this as a CRON job, I just appended that to the bottom of the file and it was all good. But before I get into that, I’ve also added another function to this script (not within the class though) after a couple days of research and troubleshooting. It turned out, that sometimes Twitter’s servers didn’t respond, or were too slow, or who knows what was going on, but the script wouldn’t finish running. The next time the CRON job ran the script, (a minute later) it ran as a new independent process, which didn’t interfere with anything. Except that, after a week or so, I then had tons of unfinished processes sitting on the server (taking up memory and resources), so I needed to have a way to make sure this script only ran once at a time. This function finds out what the name of the current file is first, (so you can name/rename this file anything, and it will still work) and then gets a list of all PHP processes that are currently running (for the current user only, of course). Included with the list of processes is any arguments that were sent with the PHP command. Because of the way I am setting the CRON job to run my script (more on that later), the filename is included in the arguments. This let’s me search for the file, and then kill that process. it’s important to get the ID of the current process that’s running this script and not kill that process too, otherwise your script will end there and finish just as soon as it started. (I made that mistake and didn’t realize for a couple days that my tweets weren’t updating – duh!) Simple no? 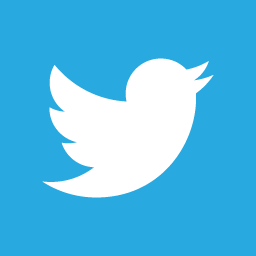 php5 -q /full/path/to/your/script/dm-twitter.php >/dev/null 2>&1. Now my server only accesses Twitter once every minute, (not with every request) and it runs in the background. All my sites just need to access this one JSON file now, and it’s formatted just how I want it to be, and is much leaner than the JSON file you get from Twitter. Let me know if you have any thoughts, questions, comments, or anything you have to say by writing a comment below. Thanks for reading – I hope this helps! Haha. This post really isn’t about Twitter’s location info, is it? it’s more about how to set up a CRON job to retrieve tweets… Sorry about the misleading title. I also wanted to note that in order for this script to work properly, you need to make sure that the permissions are set correctly on the PHP file so that the CRON job can run it, and also make sure that the permissions are set correctly on the JSON file (create a blank/empty file to start off) to allow writing to the file. PHP Code: Twitter CRON Job was published on Wednesday, May 12, 2010 at 9:58am EDT by Daniel Menjívar and last updated on April 11, 2018 at 9:30pm UTC .